Spot the shared houses. 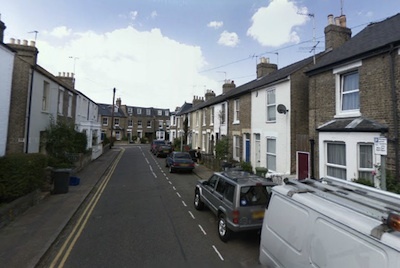 Many streets in North Cambridge contain lots of shared houses which are indistinguishable from their neighbours. As has been reported in the Cambridge News Labour Councillors Marchant-Daisley and Todd-Jones are putting forward a motion to Cambridge City Council’s full council on Thursday the 19th of April 2012 calling for a cap on the proportion of houses of multiple occupancy in any particular area of Cambridge. It is harder than it ought to be to get to grips with and comment on and discuss the motion because it lacks clarity. There are many different definitions of Houses in Multiple Occupation which are used by the council and other arms of the state for various purposes. There are definitions relating to council tax, planning and licensing. Before it can even be debated the motion needs to be clarified to make clear the definition in question is that relating to planning. I suggest the movers of the motion ask the mayor to accept such a clarification prior to the debate. HMOs with more than seven unrelated occupiers already require planning permission, however it appears that councillors Marchant-Daisley and Todd-Jones wish to reduce the threshold to three or more people in two or more unrelated households. The effect of this would be to push up housing prices for many of those in Cambridge who find it hardest to afford even remotely suitable accommodation. The pool of properties available to students and working sharers would be drastically reduced if the councillors’ proposals became council policy. I certainly would not have been able to afford to live in Cambridge had the proposed policy been in place over the last decade. I was only able to live in the city as a result of renting a room in a shared house. I think that groups of students and professional sharers should not be discriminated against at all in the housing market. Personally I’m even unhappy with allowing landlords to specify “no sharers” or “no students” when renting their properties out. The vast majority of shared houses cause no problems whatsoever, and I am sure that many residents would not be able to identify which properties on their streets are occupied by sharers. I find it bizarre that Labour councillors are proposing a policy which will disadvantage those whose interests voters would expect Labour party members to have at heart. This is the kind of policy I’d expect those paying hundreds of thousands of pounds to have dinner with David Cameron to be urging him to impose, not something coming from our local Labour councillors. I’m sure some of the rich elite would rather the likes of me couldn’t afford to live in Cambridge; I thought that kind of attitude would be limited to the kinds of Liberal Democrats who live in enormous architect designed mansions on Millington Road (a plush private road in Newnham where the council leader and her sidekick Cllr Cantrill reside). I wonder how in-touch the two councillors proposing this motion are with the reality of the housing situation in Cambridge currently. Many young professionals in jobs which are key to the city’s functioning, teachers, doctors, academics, live in shared houses; often in unsuitable accommodation which isn’t really appropriate and makes lives more stressful and challenging than they ought to be. Shared houses are far from the bottom of the accommodation pile in Cambridge, I’ve met a teacher living in an uninsulated breeze block built shed off Nemarket Road, and seen many people living in other structures in gardens. Those living as lodgers too often have very poor conditions, often without access to kitchens or the ability to do any washing up. Where I think there ought be regulation is the point at which we have specially modified properties designed to be let out by the room to unrelated occupants. I think it is right to regulate these via the planning system, as occurs now. There is also licensing of such premises and if they are mismanaged and a regular source of problems licences should be removed, just as they ought be from premises licensed for other purposes. Even if we were only considering larger, specially adapted properties, I would not set a cap as is proposed over the whole city, though I can see that such a cap, or target ratio, might be appropriate on some streets. The decisions on each property ought be made just like any other planning application, on its individual merits, by councillors – though of course there is a need for a policy against which applications are assessed. A ratio for certain streets or areas could form part of that policy just as the proportions of different types of commercial activity (eg. the ratio of shops to restaurants) are supposedly regulated in parts of the city. I fully support reviewing this issue as part of the local plan review, I would like to see officers produce a report outlining the options so that the public can comment on it during the review. What I oppose are the specific proposals made, which are far too premature in any case – such specific proposals ought come after the report and consultation. These councillors are coming at the problem from completely the wrong angle. They’re overly concerning themselves with the rather lofty and abstract concerns of rich, often older, home-owners who are concerned about the way the city is changing around them, rather than focusing on ensuring that those working and studying and living in Cambridge have a reasonable chance of finding appropriate and affordable accommodation. Attacks on students and house sharers are never far below the surface in Cambridge, and often break out among the public and councillors, particularly at East Area Committee meetings. I think councillors ought stop attacking a large fraction of the city’s population but where there are specific problems, for example with noise, the particular individuals and properties concerned ought be specifically targeted rather than a large swathe of the city’s residents. I suspect it is true that many of those living in shared houses will be an easy target for councillors, but their interests need to be considered by their representatives even if they don’t themselves generally have the time, knowledge and inclination to find out about what proposals are before the council which might affect them. Those living in shared houses are likely to be younger, busier and living more stressful lives than the older, often retired, home owners who’re typically those complaining. That doesn’t though in my view mean that those living in shared houses are likely to contribute less to the city, as I’ve already said many of the key people who make this city work live in shared houses.. In the event the council shows support for the proposals put forward by Cllrs Marchant-Daisley and Todd-Jones I hope the students’ unions, and those who represent others who will be affected will lobby against the proposals becoming part of the city’s planning policies. 1 Hemingford Road Approved as Seven Tenant HMO – particularly the “My Views” section and the section on discrimination which describes the current state of the law. This entry was tagged Cambridge, Housing, Labour on April 14, 2012 by Richard Taylor. As I’ve already commented, this motion calls for these options to be assessed in a report, not to be necessarily adopted. We want to examine best practice in other areas to see how the balance can be struck between the need for HMOs and the interests of long term residents. Simple as that, not a conspiracy against people who live in shared houses (like me). So no need for the dramatic tone. Do we get to call this “ethnic cleansing”, the way they called the benefit cap ethnic cleansing in London? This is the most illiberal motion I’ve seen in 18 years on the Council. Not that I would normally expect liberalism from Labour, but I would at least hope for some recognition of the rights of others to live their lives the way they want. The motion would affect not only the hundreds of people who share houses, either in HMOs or as lodgers, eg language students, but it would strike a heavy blow to the hundreds of families that rely on the extra income from letting out a spare room, say to a language student. I also wonder how on earth this is going to be monitored. Draw your curtains tight, people of Cambridge! Hi, According to the list of members’ interests on the council website can I ask you Amanda do you have anything to declare on this matter? Are you, for example, a landlord? Do you, for example, own any HMOs in Cambridge? Cllr Taylor’ entry on the register of interests is available online. In addition to her home, she has “an interest” in 17 Harvey Goodwin Gardens, Cambridge which I think is probably a flat. “Ethnic cleansing” is an emotive term, but my view is that the kind of discrimination proposed, on the basis of if those sharing, or seeking to share, a property are related or not is just as bad as discrimination directly on the basis of characteristics such as race, age and religion. The question of how a Labour run council would enforce their proposed policy is a good one. Will council snoopers demand to see people’s marriage and civil partnership certificates? Will landlords have to view such documents before renting properties? Already under the Liberal Democrats there Cambridge City Council makes decisions on how people use properties and bases council tax liability decisions on where people sleep. I have strongly opposed this. (more). If the Labour policy is adopted we might see students and others being tempted into marriages of convenience in-order to enable them to rent accommodation in the city. That shows how ludicrous the policy would be. Labour’s Cllr Owers has complained that I’m reacting to a motion merely asking for a report. My view is there is clearly a detailed policy proposal being put forward, there is no reason to call for a report on a proposal if there is no desire to implement it. Another thing to note is that often the council misses its eight week deadline for determining planning applications. If a group of prospective sharers found a property they were interested in renting it’s highly likely it would be off the market by the time they’d sought planning permission to take it on. There are also fees involved in making planning applications so the route of prospective tenants making applications appears unworkable. If landlords seek permission, that will mean only a fraction of the total rental market will be available to sharers, and there will still be costs involved which will inevitably be passed on to tenants who are often among the city’s poorest residents. I think it’s also worth noting Cllr Todd-Jones whose name is on the motion, doesn’t vote on planning matters. He’s seeking to set a policy he’ll want other councillors to enforce. On a related point I have lobbied against the expansion of the city’s conservation areas into the residential suburbs partly on the grounds that this too is a policy which prices out students and other sharers. I think we’re seeing councillors from both the Liberal and Labour parties act disproportionally in favour of the city’s richer home owning residents, and those living as families, over other residents. This might reflect these people being more engaged in the city’s politics, and more effective lobbyists, particularly via residents associations? I think this motion is dreadful, for all of the reasons outlined above and in other places. I will be voting against this ill-thought-through motion. So, if there are problems, what would be wrong with more checks ups on licence holders? HMO standards are dictated by local authorities. There are no unified standards for England. There are however for Northern Ireland. Councils have discretion on standards based on legislation e.g. Housing Act. This does cause uncertainties e.g. what is adequate kitchen space for a 10 person house? Since moving to Cambridge I have been shocked and disgusted at the housing provision. It seems like landlords have had a free reign to provide substandard housing and make huge profits based on over inflated prices. I do scratch my head and wonder how many members of the council are benefiting either directly or indirectly from from property in Cambridge. HMO’s need to be managed better with periodic inspections and enforcements. If properties are being mismanaged the license should be removed, the landlord prosecuted and banned from running HMO’s. I strongly believe that those unscrupulous landlords that seek profit above safety and basic standards should serve prison sentences for the misery and harm they cause. The council are well aware of many of these rogue landlords but the situation continues. Its interesting that labour councillors are putting this motion forward as labour were also responsible for disbanding National Tenant Voice which was set up to ensure social housing tenants had a say in shaping national policy. While some standards are left to local authorities, there are regulations eg. Schedule 3 of The Licensing and Management of Houses in Multiple Occupation and Other Houses (Miscellaneous Provisions) (England) Regulations 2006 sets out minimum requirements for toilet and washing facilities for HMOs as defined by the Housing Act 2004. I doubt anyone would disagree that a high level of regulation is necessary for a large dedicated HMOs such as a 10 person property. I certainly don’t. The question is if such stringent regulations, and planning controls, which apply to such properties ought be extended to typical, unmodified, non-specially built properties that groups of three sharers want to rent together. I suggest they should not, as this would unfairly restrict the ranger of properties available to sharers and unfairly discriminate against them. I agree that the council is terrible at using its existing powers – see my article “1 Hemingford Road Approved as Seven Tenant HMO”. I would like to see the council, and where relevant others like the police taking action against nuisance causing residents of HMOs in just the same way as they ought take action against those living in other properties. In the my views section of my previous article on this subject I suggested publishing the council’s database of licensed HMOs along with details of the licence conditions – this would enable tenants and neighbors to be aware when a breach the council ought be able to enforce had taken place. This is a terrible idea. For much of my twenties, I and most of my friends, lived in shared houses of 3 or 4, all of them consisting of “more than 2 unrelated households”. These were generally graduate students, post-doctoral researchers, and workers in the IT industry. Over time, we’ve grown up, some have paired off, some of us have been lucky enough to buy, others are still renting in couples or singly. Restricting the supply of homes available for sharing by such young professionals is only going to make Cambridge’s housing and transport problems worse, not better. If “shared houses” are seen as a problem, it probably has much more to do with the widespread practice of agencies only renting houses for 12 months at a time and then requiring people to move on, as they make far more money signing up a fresh batch of renters than keeping an existing group, no matter how well-behaved. When you have to move every year, where is the incentive to become a good neighbour, put down community roots, and so on? The motion starts by saying existing HMOs “fail to deliver quality, safe housing or create serious problems for neighbours” but its proposed solution is to massively widen the scope of HMO regulation. Surely it would make more sense to tackle the known problems with existing HMOs, and use existing powers to tackle problem neighbours, before requiring a much larger number of properties to submit to HMO regulation? How much will the extra staff to process the extra paperwork cost? How much extra will agencies be able to charge landlords for sorting out HMO registration and planning permission? I have a personal interest in this: I let out spare rooms in my home, and have done for years. Currently one is let to my brother, and the other to unrelated people: we would presumably count as a house with “two or more unrelated households”. If so, rather than deal with planning permission and HMO regulation, I think I would rather stop letting my second room out (I assume my brother will count as a ‘related’ household so I don’t need to evict him). I can imagine many other private individuals who let rooms in their homes doing the same, reducing the available housing in Cambridge when we badly need it increased. I’m glad to see Amanda Taylor opposing the suggestion above, and hope the other LibDem councillors follow suit (declaration: I am a LibDem activist). The real issue might arise not at the upcoming full council but at a future one, post-election, if Labour end up with greater influence. Use the powers provided by the last Labour government to extend Houses in Multiple Occupation (HMO) licensing, to improve standards for tenants and the management standards of private landlords. particular area that can be HMOs. This motion has revealed something not made clear in that manifesto – that they would like to extend the HMO definition to “all properties with 3 or more people in two or more unrelated households”. Without that key element, the manifesto itsself is highly misleading. Like many people in Cambridge, we have a lodger from time to time. Under Labour’s proposals, our house would be an HMO. When I first came to Cambridge, I shared a house with another single person to help with the rent. I have already sought legal advice on whether it is appropriate to vote on this motion. I would suggest that Cllr Taylor (and Cllr Owers, who lives in a HMO) ought be free to speak and vote on the motion. I don’t think they are particularly specially affected in a way that essentially all residents of Cambridge will be affected by these proposals won’t be too. Of course they should declare their interests, but I think they ought be participate. The decision will be theirs. It raises the question of if councillors may be required to explain their personal living arrangements, including details of their relationships with those who live with them, in public to the meeting. This itsself could be rather intrusive. This in itself could highlight the problems with the Labour motion. I think this is a dreadful motion and particularly stupid at a time when a lot of new student housing in Cambridge is coming onstream (Brunswick & CB1). This will ease the general HMO market and help young professionals with their housing. Like most, my first Cambridge non-student home was a bedsit, followed by a shared house. Lib Dems have always supported shared housing, preferring carrots over sticks to improve standards, though we have prosecuted the worst cases. But Labour has form on this – bureaucracy against housing provision. There was 13 years of it. And meanwhile the Tories’ tell us that student housing at CB1 is not an example of the right development. So they are against young professional house sharers too, it seems. I’ve just moved from Edinburgh to Cambridge. Edinburgh has had for 10 years now a 3 or more rule on HMOs and it’s a mixed bag to be honest. You are granted a license not via the planning system which is good but it certainly drives up rents to a degree as the requirements in regards to fire safety (fully interlinked mains powered fire alarms plus all doors upgraded to 30 minute fire doors) are quite onerous. In the end though this does result in a good quality of safety for tenants. I was quite shocked at some of the shared properties down here that landlords are cramming people into 4 people into a 3 bedroom house (living room as a bedroom). The HMO rules in Edinburgh were great in that they guaranteed living space and that rooms must be of a certain size and have a certain amount of natural light. Frankly if landlords are doing this they have themselves to blame for increased regulation. It appears Edinburgh doesn’t seek to limit HMO density, hence planning isn’t involved, just licensing. There the standard licencing conditions available from the council website, they don’t contain any standard requirement for fire alarms and fire doors. As fire safety enforcement is dealt with through the Fire (Scotland) Act 2005, fire safety measures cannot be imposed through the HMO licensing regime by way of licence conditions. However, the local authority still has a duty to take into account the level of fire safety in the HMO and the extent of compliance with the Fire (Scotland) Act 2005. This, together with advice from the fire and rescue authority, may make it necessary to refuse a licence. It appears there the intent (I don’t know about the practice) is to have a risk assessment based approach on a property by property basis. Such an approach appears to me more sensible than a slavish and unproductive following of bizarre rules as has occurred in Oxford. I agree there are many people living in terrible conditions in Cambridge, but these proposals are not targeting the right properties. They will impact groups of sharers seeking to find a typical house together, reducing the choice of properties such people have and increasing their costs. What I think the council should be addressing via HMO regulation is unsafe, impractical and unhealthy arrangements, it should also be dealing with noise and other problems. I’m part of the LibDem opposition group on Labour-run Oxford City Council. The HMO planning policy is already happening in oxford and frankly I think it’s a disgusting infrinmgenet on people’s rights to use their properties as they see fit. See http://tonybrett.mycouncillor.org.uk/2011/12/19/full-council-7/ for details. It is policy based on gross generalisation and fear. Some households are problematic and some are HMOs. That doesn’t mean all HMOs problems – the cast majority in fact are fine. My own street must be 80% HMO with lots of students but it’s a great community with some people staying long term and some changing yearly. We have a good neighbourhood watch scheme that lots of HMO people take part in and we have an annual street party and group clean-up as part of OxClean. and the comments make the case even more strongly I think. What makes me really sick is the way Oxford Labour trumpets this scheme as self-funding at “no cost to the taxpayer” because licensing fees are meant to cover the costs of the scheme. If they think “no cost to the taxpayer” means people losing their homes, and tenants suffering big rent increases in an already expensive City then they are cflearly even more out of touch with the people ox Oxford than I thought! I really hope Cambridge doesn’t make the same mistakes as Oxford Labour! This is a completely mad move by Labour from an electoral point of view. HMO residents usually have a fairly low turnout at local elections, but Labour have just handed the Lib Dems the perfect issue with which to motivate them to go and vote. HMOs are very easy to identify on the electoral register – just count the surnames – and you can safely bet that their residents will shortly be receiving a personal letter from their local Lib Dem campaigner explaining how Labour want to kick HMOs out of Cambridge. This could swing the result in wards like Romsey. Loads of idiotic comments. Obviously if the idea was simply to enact a policy, then the motion would be for a policy, rather than mandating a report. It’s a crying shame that an attempt to achieve evidence-based policy is being pre-empted in such a way. If the proposers were sure of what they wanted, they wouldn’t bother with a report! How silly that it’s not possible to gather evidence towards an empirically sound solution without being jumped on in this way. Cambridge has a huge science community, but judging by these responses, most people don’t get the point of research: get your evidence first, then make policy. It really is that simple. The problem here is that no cap is being proposed for the entire city, since the motion only mentions, “the future option of denying permission for additional HMOs in any street or 200 metre stretch of any street where HMO numbers reach 25% of residential properties”. This is, in fact, exactly what you stated might be appropriate in certain areas. I’ve currently resident in an HMO and don’t have a problem with exploring this policy. I’ve lived in some godawful properties with landlords who’ve been wilfully negligent. A much greater concern with upholding regulations might make things slightly more difficult for good landlords, but it would vastly improve the situation for those people with terrible landlords. There’s a need for HMOs in the city, because there’s a persistent demand for housing at short notice, but equally there is a strong need for regulation, because demand is high enough to allow some dodgy business practices to survive. I’d add that Aberdeen’s HMO policy is similar to what Edinburgh’s is described as, but it seems to have a much greater focus on fire risks. Regulating the proportion of large, properties designed or modified to house large numbers of unrelated individuals is what I’ve said might be appropriate in certain areas. I would not introduce extra regulation on small groups of people getting together to rent a house together. I fully agree that terrible properties and landlords need addressing. I think the focus ought be on such cases rather than adding extra regulation and costs to a sector of the market which is not causing a problem. If this was a motion simply calling for a report – why would it include a very specific and detailed proposal? I lived in Edinburgh (as a student) when they introduced new safety standard for HMOs, and saw rent prices skyrocket as landlords reduced number of tenants (but not overall rent) to avoid the new regulations. And I left Oxford just in time, it seems. The idea that Cambridge city council would go even further and carefully pick and chose which areas can have how many shared properties is ludicrous. I am totally in favour of better standards for shared accommodation (seen horrible conditions in all three cities to be fair), but if you end up having to rent a rat hole, it’s usually because there is nothing better (or affordable) on offer. Thus it’s a case of having MORE HMOs rather than LESS to improve standards. C’mon councillors, it’s obvious that people live in shared houses because they can’t afford anything better, not because they are ill bent at causing havoc in otherwise genteel neighbourhoods. And I see the council very keen to grant planning permission for “luxury” developments, which are often so overpriced to be an insult (I viewed a 2 bed flat near Addenbrooke’s advertised at £325.000, meant apparently for those young nurses on a £24k salary). Yet the council seems determined at making life hard for young professionals and students, which a city like Cambridge totally depend on. Council sort your priorities out. No conflict of interest. I live alone (in Cambridge), in my own house, no lodgers, no other properties. To set out some ideas for what might be worth discussing in the report? I think that’s fairly standard. Scientists don’t go into experiments completely unsure as to what they’re going to do…. Now thanks to you Richard the debate is happening through misinterpretation in the media instead of in a considered report based on evidence. I’m sure we’re all grateful. See the Labour manifesto excerpt above. This is something they propose to implement if they win the upcoming election in Cambridge. I want councillors to take decisions in light of the best evidence available. The proposal does seem to go too far in preventing having 2 unrelated households in a property, which would seem to rule out even lodging in a house with a couple. However, the broad rationale for restricting and regulating hmos is sound if you consider it from the perspective of permanent local residents. Having been brought up in Cambridge and liked having a mixed community with students and working people living alongside one another, when I moved to Leeds I was attracted to headingley. It is a nice area to live in, but another one where the permanent residents have been vocal in supporting HMO regulation. This is because, over the years, large areas have gone from being nicely mixed (think of the street in the novel “if nobody speaks of remarkable things”) to ones where the vast majority of houses are tenanted by students. This means that during holidays they are like ghost towns, isolating the few and dwindling number of permanent residents who now are increasingly elderly. The economic incentive is always for professional landlords to fill homes as far as possible, turning living and dining rooms into bedrooms so that the number of inhabitants exceeds what was intended for the original properties, putting massive strain on local services provisioned on the basis of lower population densities. It also puts strain on things like traffic and parking as each house instead of having one or maybe two cars suddenly has four or five. Thankfully most or many HMO tenants behave decently and reasonable local residents don’t have a problem with them being there on the basis of the tenants themselves but on the basis of the change to the character and sustainability of the area itself by having such a changed demographic make up. The introduction of HMO regulation has encouraged the building of large purpose built tenanted blocks in less residential areas as well as the improvement of the quality of HMO properties (this is a two way thing- the purpose built blocks tend to have ensuite facilities, shiny new fitted kitchens and good furniture so the converted houses have had to improve too- scenes from The Young Ones, or even my old student house in Oxford, with its snails in the basement lounge are no longer the norm). Well, so far it’s Labour councillors who are so determined, not “the council”. You will find out whether “the council” agrees with Labour on Thursday night. I am the “Executive Councillor for Planning and Sustainable Transport” who is being called on to require the planning department to snoop on who is sleeping with whom when considering an application for a new HMO elsewhere in the street. So far I have to say that I am not convinced that this is a good idea. “Not convinced” is a typical Lib Dem fence sitting response (though encouragingly a fair few Lib Dems have come out in opposition to the proposals). I wonder if Cllr Ward realises that Liberal Democrat his colleagues responsible for council tax collection do snoop on who is sleeping with who. I’ve seen the council’s surveyor deem a house a HMO if someone slept in a downstairs room, but not if everyone slept upstairs. No, I don’t think I’m sitting on the fence on this one. This is a completely crazy idea which the Liberal Democrat council will reject on Thursday. Can I suggest than anyone who prefers this policy to remain rejected votes accordingly on 3rd May. [#] Yes I did have a pretty good idea in advance what the decision coming out of our group meeting tonight would be, but officially the decision isn’t made until it’s made. I’m quite taken aback by this outbreak of Liberalism from Liberals and Greens. What’s going on? Did aliens invade and replace you all with Liberals from one hundred years ago? What have you done with all the social democrats? I hope you haven’t done them any harm! I believe that there is some sense in the proposal, although it is carelessly worded. I live in a recent development of six 4-bedroom houses, all designed for family accommodation. Five of these houses are “HMOs” with four tenants in each. The council should know about this change of occupancy from the original planning consent – if only to accommodate the changing schools needs, refuse collection pattern, parking requirements, leisure amenity requirements etc. There is a frequent turnover of tenants, and the new ones seem to be slow to catch on with when bin days are, when to cut the grass, the need to pick up litter, how to park sensibly, etc. I try to keep them informed, but my help is not always appreciated! The Cambridge Socalists are holding a protest outside the Guildhall against the motion before the council meeting. I’m writing to urge you to drop your support for the motion to Cambridge City Council on the 19th of April 2012 asking for limits on the number of properties which can be rented by house sharers to be considered. I was only able to live in Cambridge as a result of being able to rent a room in a shared house. If groups of people sharing a property have their options limited to specific properties which have licences and planning permission then house sharers will unfairly not have access to the whole rental market. This, together with a cap on the number of properties would surely push the rental prices up for shares, and push some out of the city as a result of both cost and lack of availability. I agree with strong regulation of larger purpose built or adapted properties in which people rent individual rooms, to ensure safety and good management, however I think that extending such regulation to all properties where three or more people from two or more unrelated households is going too far. * Liberal Democrat Tim Ward has commented above, so is aware of my views. * I’ve tweeted to Labour Cllr Carina O’Reilly pointing her to this article. I’ve submitted the following amendment to Motion 6b. Tom Woodcock and I worked on this, and he convinced me that such an amendment was necessary. I have asked a few councillors, from Labour and Lib Dem whether they will support it or not. “The council further recognizes that the massive shortage of secure and affordable tenancies in the city is forcing many to live in inappropriate accommodation or in many cases housing poverty. That motion is far better, Adam, and is what should have been asked for in the first place. Adam, although I don’t particularly object to your form of words, you are missing one key ingredient and that is how much of the housing is being bought up by London commuters and so how much are London commuters forcing up house prices and should the city council do anything about that, e.g. by not actively encouraging London commuters to take over more and more of Cambridge? The Lib Dems, and I guess the Greens and possibly Labour, want to throw ever more subsidies the way of train commuters, which obviously encourages London commuters to live further from London than they otherwise would. And as a result a lot of the housing in Cambridge is specifically targeted at London commuters. So this is why I say that the Lib Dems are actively encouraging London commuters to take over large swathes of Cambridge, including now in Chesterton, whether the Lib Dems (and anyone else who supports what they are doing) want to acknowledge that or not. Wab, we don’t encourage commuting. We think that jobs should be local ideally, but I do take your point. Not sure that was the right place to address that, but certainly something to bear in mind for future. I would prefer local economies where people lived and worked in locality and few had to commute. Sadly the reality of the South East isn’t quite like that, and the problem lies with central government’s planning and economic policies! This is autocratic Labour thinking of the worst kind. Instead of lumping all HMO’s together as some kind of “problem group”, why not just properly penalize bad or antisocial behaviour – *whoever* does it? For single people on median incomes, HMO is the only affordable option in Cambridge. I’ve been doing it for years without causing a single problem to neighbor or landlord, or even needing a parking space. Now the City Council are consulting on shared housing. Around 40 councils have already adopted Article 4 withdrawing the permitted development rights for small HMO’s (3-6 unrelated people). I feel it discriminates agaist sharers as they can not choose where they want to live. If you share this view please support the e-petition calling for abolishing this restrictions. Thank you.